The first North American touring company of Wicked welcomes Emma Hunton as Elphaba on April 23 in Richmond, VA at Altria Theater – Richmond (Formerly Landmark Theater). Hunton joins the cast that includes Gina Beck as Glinda, Alison Fraser as Madame Morrible and Tim Kazurinsky as The Wizard. Buy Wicked Richmond VA Tickets NOW! Hunton’s credits include the Broadway company of Spring Awakening (Ilse) as well as the Off-Broadway company of RENT (Maureen). She was last on tour with the 1st National Tour of Next to Normal (Natalie) and most recently played Ryan in the world premiere of Witness Uganda at the American Repertory Theater. Wicked first North American touring company also features Nick Adams (Fiyero) Jenny Florkowski (Nessarose), Tom Flynn (Dr. Dillamond), Jesse JP Johnson (Boq) and Emmy Raver-Lampman (Standby for Elphaba) with Shayla Beck, Dina Bennett, Nikki Bohne, Lauren Boyd, Kyle Brown, Nirine S. Brown, John Carroll, Rick Desloge, Timothy A. Fitz-Gerald, Dominic Giudici, Brenda Hamilton, Spencer Jones, Sheila Karls, Trevor Ryan Krahl, Rebecca Kritzer, Marina Lazzaretto, Alison Leo, Marissa Lupp, Raymond Joel Matsamura, Jonathan McGill, Kevin McMahon, Shanon Mari Mills, Christopher Russo and Daniel Switzer. Hunton joins the Wicked Company on Wednesday, April 23 in Richmond, VA. Wicked return engagement at the Altria Theater through May 04, 2014. Click here to Buy Wicked Landmark Theater Tickets NOW. The company of the first North American tour of the hit Stephen Schwartz-Winnie Holzman musical Wicked will welcome Emma Hunton as Elphaba at the Landmark Theater (6 N Laurel St, Richmond, VA 23220) in Richmond, VA starting April 23, 2014. Buy Wicked Landmark Theater Tickets NOW! Hunton’s credits include the Broadway company of Spring Awakening (Ilse) as well as the Off-Broadway company of Rent (Maureen). She was last on tour with the first national tour of Next to Normal (Natalie) and most recently played Ryan in the world premiere of Witness Uganda at the American Repertory Theater. Hunton will join a cast that includes Gina Beck as Glinda, Alison Fraser as Madame Morrible and Tim Kazurinsky as The Wizard. The company also features Nick Adams (Fiyero), Jenny Florkowski (Nessarose), Tom Flynn (Dr. Dillamond), Jesse JP Johnson (Boq) and Emmy Raver-Lampman (standby for Elphaba) with Shayla Beck, Dina Bennett, Nikki Bohne, Lauren Boyd, Kyle Brown, Nirine S. Brown, John Carroll, Rick Desloge, Timothy A. Fitz-Gerald, Dominic Giudici, Brenda Hamilton, Spencer Jones, Sheila Karls, Trevor Ryan Krahl, Rebecca Kritzer, Marina Lazzaretto, Alison Leo, Marissa Lupp, Raymond Joel Matsamura, Jonathan McGill, Kevin McMahon, Shanon Mari Mills, Christopher Russo and Daniel Switzer. North American tour of Wicked will be in Richmond, VA through May 4, 2014. Click here to Buy Wicked Landmark Theater Tickets NOW. Nick Adams Joined the North American tour of Wicked in the role of Fiyero at the Benedum Center in Pittsburgh PA starting Today Feb 04, 2014. Buy Wicked Benedum Center Tickets NOW! The handsome Fiyero develops a relationship with Elphaba, who later becomes known as the Wicked Witch of the West. 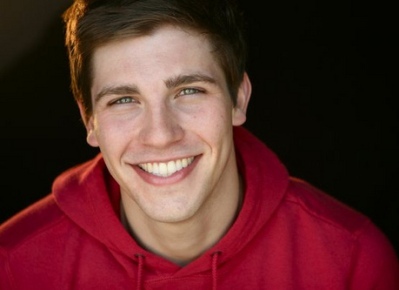 Adams, who play Fiyero, is one of three new cast members. Film star and former “Saturday Night Live” cast member Tim Kazurinsky replaced John Davidson as the Wizard; Jenny Florkowski took the role of Nessarose. North American tour of Wicked will be in Pittsburgh, PA through February 09, 2014. As only last 8 performances left, Don’t miss it! Click here to Buy Wicked Benedum Center Tickets NOW. Wicked 1st national tour Production Opened on March 08, 2005 and still touring. Wicked 1st national tour is currently in Philadelphia, PA playing through August 04, 2013 at Academy of Music (Broad and Locust Streets, Philadelphia, PA 19102). Buy Wicked Philadelphia PA Tickets Online! Wicked musical, based on the best-selling novel by Gregory Maguire, the untold story of the Witches of Oz, features music and lyrics by Stephen Schwartz and book by Winnie Holzman. Wicked is directed by Tony Award-winner Joe Mantello. Courtney Iventosch has left the company. Sterling Masters has temporarily joined the company as the Witch’s Mother. 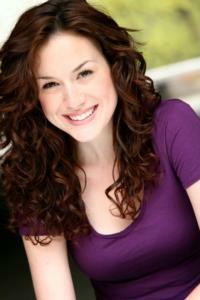 Laurel Harris is now an understudy for Nessarose, in addition to being the standby for Elphaba. Wicked national tour is currently playing at New Orleans from May 08 to June 02, 2013. Now in its 10th anniversary year, Wicked is still a crowd favorite. The musical, with music and lyrics by Stephen Schwartz, tells the story of the unlikely friendship between the two witches of Oz. You’re fairly new to this cast for the national tour of WICKED. You’ve been with them for a little over a month. What has your experience been like so far? It’s been great! Everyone’s very welcoming. It’s such a new, such a different thing to replace someone in a show. It’s kind of like you’re a kid, and even though it’s never happened to me but, you like move schools or something and go to a new school. It’s kind of that feeling of like everyone’s really nice but you’re still, you know, the stranger in something that, in basically a family. So it can be kind of daunting coming in, but everyone’s been really great and welcomed me with open arms and I hope that I’m fitting in rather well. I think I am. I hope I’m not delusional though. So this is your second national tour, the first was NEXT TO NORMAL which you also had a run in on Broadway, and you also have done HAIRSPRAY on Broadway. So you’re not new to show business, but what is it like to now be a part of one of the most popular shows in existence? It’s awesome. I’m really lucky. It’s kind of been a dream of mine to do this show. When it first came out I was I think in middle school, maybe even high school, when I went to go see it. Our choir group went to go see it as a group, and you know I always wanted to be in it and now that I am it’s kind of surreal. I had hoped it would happen some day, but I didn’t know if it would happen this soon. It’s cool. I’m really thankful for the opportunity, and also to get to travel with the show is great because so many people come to see it. And it’s such a thrill because it’s such a big show that audiences are always crazy and they go crazy for it, they love it. It’s always full which is great, and it’s just a very rewarding show to do. What was your first impression of WICKED when you saw it for the first time? Oh, it was so impressive. It was before I had even started doing theatre myself. The music was cool, it was new. I feel like it was kind of the first show that I had seen that wasn’t the typical old musical like OKLAHOMA and stuff. I think it was just the fact that something could be, I don’t want to say relevant but, relevant and cool and also exciting but with like pop music. It was something that was so different than what I had seen and what I was exposed to being from Wisconsin. All around it was just so impressive. What were some of the other musicals that you were exposed to as a kid? I mean we did, my whole family kind of took part in the community theatre, which was really cool. My older brother and my younger sister were acting in the shows. My dad sometimes would be in the show but he ran the light board and did all the crew stuff. My mom would work backstage. We did like ANYTHING GOES and THE KING AND I and THE SOUND OF MUSIC. I did LES MIS in high school, which was cool but I mean more traditional musicals that you grow up with that a lot of school do and community theaters. It’s cool that your whole family was involved in theatre. That’s kind of rare. You don’t normally see entire families who are involved a whole lot. It’s really rare especially when my first semester in college I was going for pre-med and my parents wanted me to do theatre instead. That’s sort of backwards from what you usually hear! Yeah, but I think I made the right choice. I don’t want to be anyone’s doctor, and no one wants me to be their doctor! So let’s talk about your character a little bit. 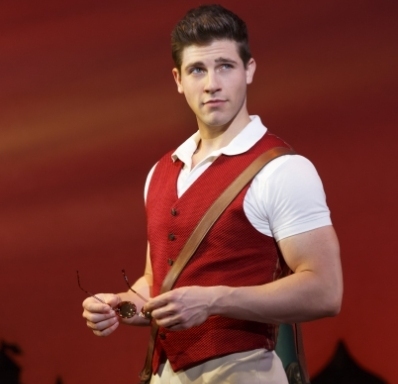 You play Fiyero who is our dashing male lead. What is his place in WICKED? In the story he’s basically I guess the apex of this love triangle between the two witches. It’s something that I’m, not struggling with, but trying to find his importance in the show because… It’s funny, the other day I went to go watch Dee [Roscioli] who just left as Elphaba… I went to go watch the rest of her first act and I realized how, I don’t want to say how little I do during the show, but I don’t do as much as everyone else does and it kind of made me take a step back and really re-evaluate what I am on stage and how important everything I do is. I like to think that I’m the catalyst to the story really kind of going because as soon as I’m out there stuff kind of starts hitting the fan. I kind of help, you know I fall for Elphaba right away and kind of help her do things that I normally wouldn’t do, and kind of add that extra… I don’t know what the word is… drive to the show? But maybe it’s just in my head and maybe that’s just what I tell myself. I think that the most important thing is the love triangle and how two girls… basically we’re all just friends and I end up falling for both of them, but in the end obviously I go with Elphaba because she’s more interesting. Not to say that Glinda isn’t, but there’s different needs that I need fulfilled as the show goes on. Wicked national tour will be at the Mahalia Jackson Theater from May 08 to June 2, 2013. Buy Wicked New Orleans LA Tickets Online at discounted prices. The company of the first North American tour of Wicked musical welcomes Alison Luff as Elphaba and John Davidson as The Wizard beginning April 30 in Dallas, TX. They Join a cast that includes Jenn Gambatese as Glinda and Kim Zimmer as Madame Morrible. Alison Luff’s Broadway credits include Scandalous (Original Broadway Cast recording) and GHOST the Musical. She was also part of the Broadway and Nat’l Touring companies of Mamma Mia! 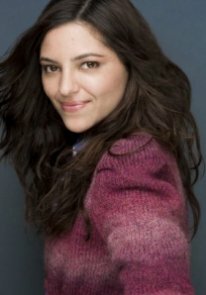 Luff received a Denver Post Ovation award for Best Supporting Actress in a musical for her portrayal as Olive in The 25th Annual Putnam County Spelling Bee. 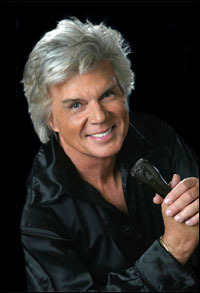 John Davidson has been seen on Broadway in State Fair, Foxy and Oklahoma and Off-Broadway in High Infidelity and The Fantasticks. Wicked Second North American tour to welcome new cast beginning April 3 in Rochester, NY. Cast to be added – Jennifer DiNoia as Elphaba, Hayley Podschun as Glinda and David Nathan Perlow as Fiyero. DiNoia, Podschun and Perlow will join a cast that includes Gina Ferrall as Madame Morrible and Walker Jones as The Wizard. Wicked tells the story of two unlikely friends, Elphaba (the Wicked Witch of the West) and Glinda (the Good Witch of the North), who struggle through opposing personalities and viewpoints, rivalry over the same love-interest, reactions to the Wizard’s corrupt government, and, ultimately, Elphaba’s public fall from grace. 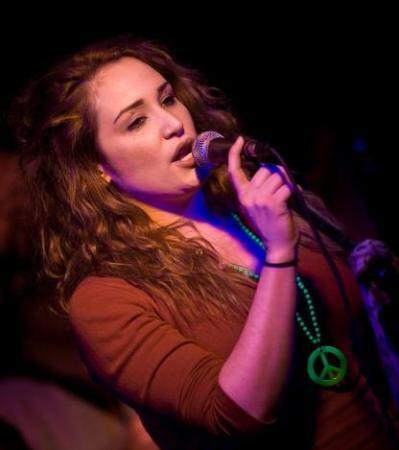 Jennifer DiNoia has played Elphaba in the Broadway, Chicago, Australia and South Korea companies of Wicked. She was also seen in the original Las Vegas cast of We Will Rock You. 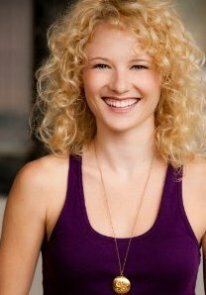 Hayley Podschun was recently seen on Broadway in Chaplin where she played Charlie’s first wife, Mildred Harris. Previous Broadway credits include Anything Goes, Pal Joey, Sunday in the Park with George, Hairspray (as well as the first national tour) and The Sound of Music. 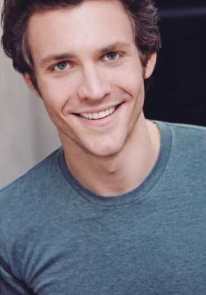 David Nathan Perlow returns to the second national tour of Wicked, where he previously played the role of Fiyero. Perlow has also been seen on Broadway in La Cage Aux Folles. The company also features Zarah Mahler (Nessarose), Jay Russell (Dr. Dillamond), Michael Wartella (Boq) and Alyssa Fox (standby for Elphaba) with Kerry Blanchard, Jane Brockman, Bridie Carroll, Lilli Cooper, Haley Ann Dorling, Michael Drolet, Peter C. Ermides, Ryan Patrick Farrell, Natalie Fotopoulos, Dominic Giudici, Lauren Haughton, Zach Hensler, Joel Ingram, Ryan Jackson, Jillian Kates, Becca Kloha, Sam Lips, Sterling Masters, Marissa Miller, Dashi’ Mitchell, Amy Quanbeck, Jay Reynolds Jr., Wayne Schroder and Justin Wirick. Wicked Second North American tour is currently playing at Ovens Auditorium in Charlotte NC, through March 31. Wicked Charlotte NC Tickets are available at discounted price online. Buy Wicked Ovens Auditorium Tickets Online, SAVE $10 on ALL ORDERS of $350+, Use code: TICK13 at Checkout! Expires March 31, 2013. Wicked Second North American tour will play Apirl 03 to Apirl 21, 2013 at the Rochester Auditorium Theatre. Wicked 1st National Touring company welcomes new Glinda and Fiyero. Broadway veterans Jenn Gambatese and Curt Hansen will star as Glinda and Fiyero, respectively. Gambatese will join the production on February 26 in Costa Mesa, CA and Hansen will be added to the cast on March 20 in Tucson, AZ. Gambatese and Hansen will join a cast that includes Dee Roscioli as Elphaba, Kim Zimmer as Madame Morrible and Tom McGowan as The Wizard. Gambatese starred on Broadway as Jane in Tarzan and Natalie in All Shook Up. Hansen has been seen on Broadway in Next To Normal (as well as the First National Tour) and Hairspray. Wicked is currently playing at the Segerstrom Center for the Arts in Costa Mesa, CA through March 17. Wicked will play The Tucson Music Hall, March 20 to April 7, 2013. Wicked Costa Mesa CA Tickets are selling fast online and are already hard to find. Hurry to Book your Wicked Tucson AZ Tickets Online and Avail $10 discount on ALL orders above $350, by using the code AFF$10 at checkout! Wicked First National Touring Company Currently playing in Honolulu, HI through January 12, 2013 and moves to San Francisco, CA from January 23 to February 17, 2013. Wicked Second National Tour is currently performing at Montreal, Canada through August 26, 2012. Jay Reynolds Jr. has replaced Robert Pendilla in the ensemble and as an understudy for Boq. Wicked Salle Wilfrid Pelletier Place Des Arts Tickets are selling fast Online, Buy your Wicked Montreal Quebec Canada Tickets, Get $10 OFF On any orders of $250 or more by using code SUMMERFUNTN at checkout.